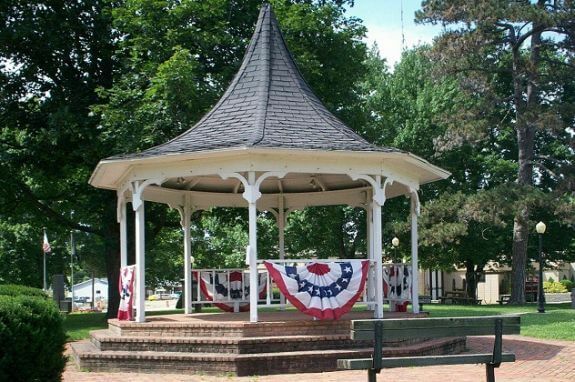 The Gazebo in the Town Green is a lovely setting and is available for rent year round, seven days a week from sunrise to sunset. Rental may be extended past sunset with permission. The gazebo has lights and electricity. There are 3 small picnic tables in the park itself but any additional chairs or tables must be provided by the person renting the gazebo. No restrooms are available. If you would like to reserve any of the parks listed please visit our Reservation page. For park Rental Application & Liability Agreement click here.